To lead professional insurance agents in Texas by advancing education, business interests, new markets and community. For more than two decades, Texas Professional Insurance Agents has provided members meaningful assistance with the daily challenges of running an agency. We provide specialized resources and services helping members and their staff with all aspects of their business. Whatever the issue or question, Texas PIA members turn to association experts for answers. 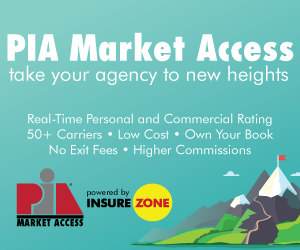 Membership in Texas PIA is an investment that provides tangible benefits & services, saving you time and money so you can increase your agency’s bottom line. As a member of the Texas Professional Insurance Agents, you are also a member of the National Association of Professional Insurance Agents and have access to a variety of valuable benefits and information that can support you in the growth and success of your business. 30% discount on all Kaplan Products. 60% discount on the regular package pricing. 15% discount for customized solutions for Payroll, Human Resource, Benefits and Time & Attendance software fees. Full and free access to a discount club with corporate savings. $10 off a new subscription.